From Monday 17th – Thursday 20th July you can train for 21/2 hours each morning and afternoon, over the four days, allowing 10 hours intensive training, each morning and afternoon, working on 2 separate disciplines (1 each from A and B) for 5 hours per day in total. These choices are divided into sections – A & B, please select one from each category. We will explore different techniques arising from postures found in the Tai Chi form. The focus will be self-defence and (Qin-Na). We will build our experience step by step using the Eight Energies methodology. If there is sufficient time we may investigate how the classic 13 Postures influence applications. 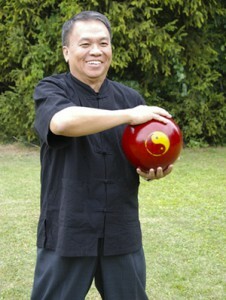 Tongbei is a true ancestor of Chen Style Taijiquan offering an incomparable range of yin-yang intensities. 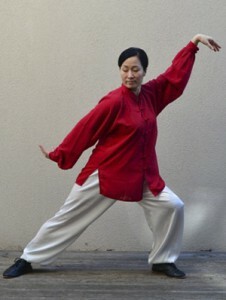 I will teach it via a variety of Jibengong – exercises training different movements and qualities. We can combine these into “micro” forms which in turn can be merged into a linking form, the Tongbei Xiao Lian Huan. You will take a well trained Tongbei form home with you. The experience will enhance your own practice within your disciplines. 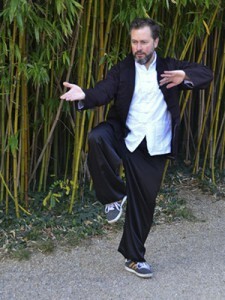 In Taijiquan we need to develop a strong Central Axis to transmit force and energy throughout the body. We will focus on internal work to train and strengthen this Central Axis to develop the transmission of force. The exercises for this internal work are characterised by circular, continuous and loose movements with repeated twists of waist and trunk, actively relaxing the hips joint but maintaining stability in the legs. They are performed continuously with ease and many repetitions. “Amazing things happen when you’re having fun and doing something that you love.” (Jenna Lyons) When learning and teaching tai chi it is good to enrich the process by utilising fun and interactive exercises. A relaxed and inclusive environment can make learning quicker, more memorable and enjoyable helping build relationships with training colleagues and teachers. We will practise different exercises covering different areas of your tai chi practice which can be tailored to your personal style and training regime. Praying Mantis, native to Yantai/Shandong, is a beautiful and unconventional art. 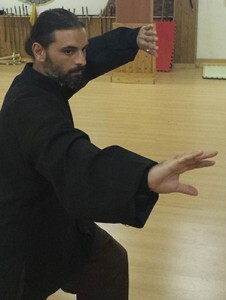 Differing in appearance from Taijiquan, but sharing common ancestry and principles like the six Harmonies or sticking and connecting. 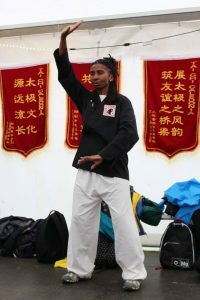 We will learn a short sequence of the most essential principles of the style.This training is designed to add some mantis features into your Taijiquan to increase your overall skills. 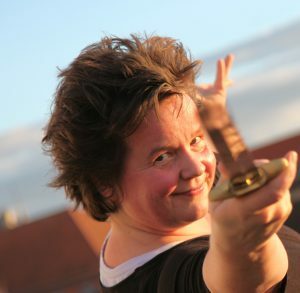 Tanglang Qigong and basic exercises will round up our adventure in this exciting art. 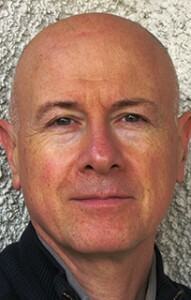 The principles of the Biospirals Method are universal and therefore essential to any walk of life. We will take a practical approach to examine these principles which will help us to get familiar with, connect and utilise the interconnected systems of the universe; Heaven, earth and Man, and apply these principles to enrich any form or level of internal martial art. We start with a qigong system based on water in its different states (calm, flowing, waving, waterfall & ice) to develop spontaneous movement & a quiet mind. Each state represents & matches a precise “moment” of Taiji movement. We use this to free the centre and increase its mobility, thus improving the flow of qi. This leads to fixed & moving Tui Shou where focus is on elastic force, and avoiding contact while simultaneously counterattacking.